John Speraw is an American volleyball coach. He is the head coach of the United States men’s volleyball team and UCLA. He was the former coach of UC Irvine volleyball program where he led the team to three national titles in six years. Speraw graduated from UCLA in 1995 with a B.S. degree in micro-biology and molecular genetics. Slobodan Kovač is a Serbian former volleyball player and current coach. 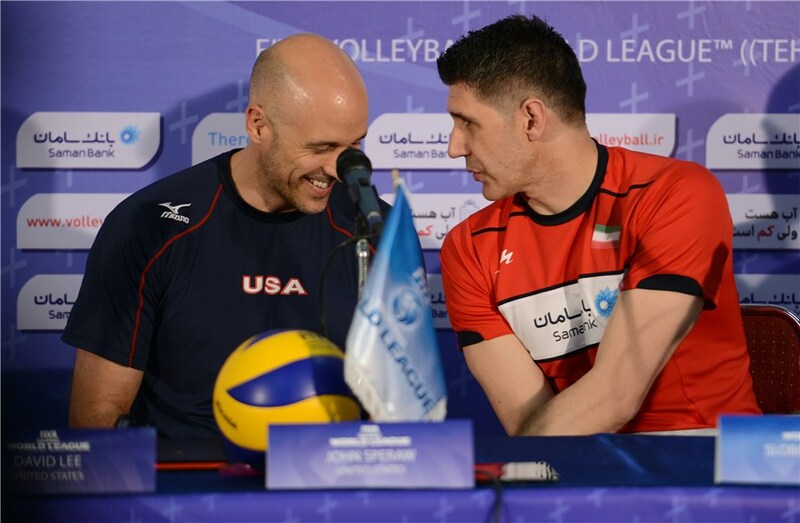 He is coaching Iran men’s national volleyball team until the 2016 Olympic Games in Rio de Janeiro. Previously competing for Yugoslavia, he won a bronze medal at the 1996 Olympics in Atlanta and won his first gold medal with the Yugoslav team at Sydney at the 2000 Summer Olympics. This entry was posted in Sports, USA and tagged Foreigners in Iran, International, Iran, sports, USA, Volleyball on June 29, 2015 by socialinform.